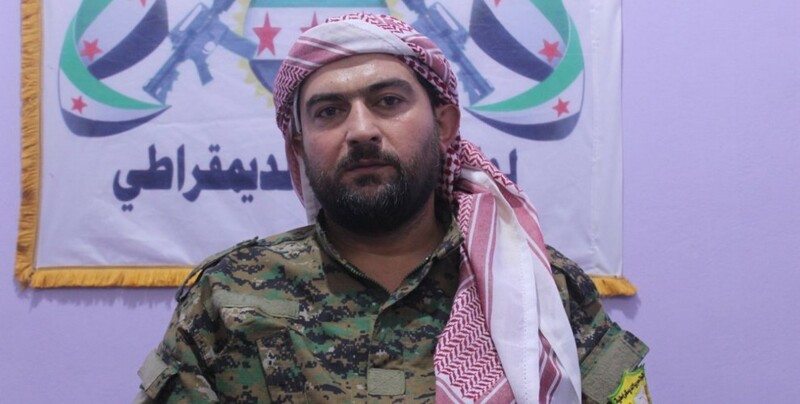 Shemal Al-Democratic Brigade Commander General Abu Umer Al Idlibi stressed that if the Syrian regime forces clear Idlib of Turkish state backed gangs, Turkey could lose all its cards in occupied centers like Jarablus, Bab, Azaz and Afrin. Shamal Al-Democratic Brigade Commander General Abu Umer Al Idlibi spoke to ANHA about Idlib and said it is too early to assess the developments to come in the city, and that they have information that along with various military forces, Turkish soldiers are also present in the region. Al Idlibi said the fate of occupied regions like Jarablus, Bab, Azaz and Afrin is tied to the fate of Idlib and added that if the regime takes Idlib, it would be a great blow to Turkey and Turkey could lose all its cards. Shemal Al-Democratic Brigade Commander General Abu Umer Al Idlibi stated that Iran, Russia and Turkey failed to reach any results in the Tehran summit.